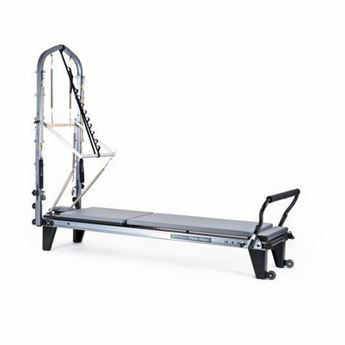 This Pilates reformer has been engineered and built for the rigors of commercial fitness; perfect for professional and home use. Easyset footbar slides horizontally the entire length of the frame, and adjusts vertically easily to allow for fluid transitions. Make instant rope adjustments with a simple-to-use lever tucked behind the headrest. The frame includes a built-in, maple standing platform, pre-configured to accept the optional padded foot plate. Adjustable headrest and shoulder rests. Features the Balanced Body five-spring resistance system which allows up to 46 resistances. 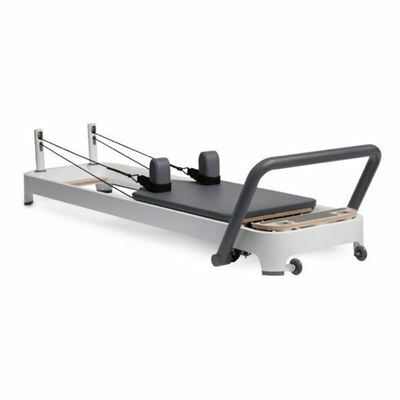 The Allegro 2 Reformer Package includes: 1 yellow (very light), 1 blue (light), 3 red (medium). Click here to view Allegro Pilates Reformer Accessories.